They have great customer service, and they use high-tech equipment. They came out quickly. I think they are the best for that area. The price was affordable. The guy who came out was excellent, knowledgeable, and thorough. They were very reasonably priced. I am completely satisfied. Helpful, friendly, and they gave me confidence. They've been very good with their quarterly maintenance and inspections on properties that we lease. They also do inspections and reports for new properties or prospected properties. 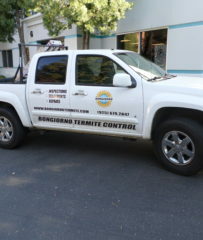 Bongiorno Termite Control, Inc. is a full-service termite company that provides inspections, treatments, and repairs for residential clients in Contra Costa and Alameda Counties. The company’s subterranean termite treatment consists of a chemical barrier that protects structures for up to 10 years if left undisturbed. It can also provide local treatments that are designed to eradicate drywood termites, wood boring beetles, carpenter bees, carpenter ants and fungus/dry rot. DIAMOND CERTIFIED RESEARCHED CAPABILITIES ON Bongiorno Termite Control, Inc.
Company Name: Bongiorno Termite Control, Inc.
DIAMOND CERTIFIED RESEARCHED ARTICLES ON Bongiorno Termite Control, Inc.
Bongiorno Termite Control has been providing a complete range of termite control services for residential clients in Contra Costa and Alameda Counties since 2006. The company is known for its powerful subterranean termite treatment (which creates a chemical barrier that protects structures for up to 10 years if left undisturbed), and it can also provide local treatments that are designed to eradicate dry wood termites, carpenter ants and bees, wood boring beetles, and dry rot/fungus. Chemical products are no substitute for a pest control professional. When it comes to eradicating termites and other pests, many homeowners opt for store-bought extermination products as a less expensive alternative to hiring a pest control professional. However, most of these products lack the ability to actually solve infestation problems, so they become more costly investments in the long run. The biggest problem with store-bought pest control products is they don’t get to the root of the problem: the presence of a “lure,” which is what attracts pests to a property in the first place. Pests tend to be very resolute when it comes to obtaining a desired lure, so they’re often able to circumvent any obstacle placed in their path. In lieu of either removing the lure or creating an effective barrier between the pest and lure, store-bought chemical agents offer short-term solutions at best. Another disadvantage of store-bought products is their need to be frequently reapplied—even the slightest moisture can reduce the effects of chemical agents. In addition to being time consuming, the reapplication of these products can be very expensive, which counteracts their original purpose of saving you money. While store-bought pest control products may offer immediate, low-cost results to alleviate your pest problems, they simply don’t provide any sort of dependable, long-term solutions, leaving your home susceptible to further infestations. In contrast, a physical barrier designed and installed by a pest control professional is the most effective deterrent against recurring pest problems. Q: How long will it take you to treat my termite problem? A: In most cases, we can complete your job within one week. Q: How do you treat termite infestations? A: Our termite treatment consists of a chemical barrier that’s applied to the soil adjacent to all the foundations and supports of your home. It leaves a chemical barrier that will last up to 10 years or longer if left undisturbed. If your home needs a complete treatment for drywood termites or wood boring beetles, we can perform fumigation. A: Yes. In fact, our prices are slightly lower than most pest control companies in our area. Q: What’s involved in a home inspection? A: Our home inspections vary depending on whether we’re investigating a known problem or conducting a general inspection for a real estate transaction. When we arrive at your property, we’ll give you a step-by-step rundown of everything we’re going to do. Sometimes we’ll inspect the whole house, and sometimes we’ll focus on a particular spot. We might have to deface a surface or wall by drilling a hole, but if we do that, we’ll patch it to look like new when we’re finished. Q: How long after the inspection can I expect a report? A: Usually, you’ll have your report within two days of the inspection. In most cases, we’ll email a digital version, but we can also mail or fax a hard copy if you’d prefer. SELECTED PHOTOS FROM Bongiorno Termite Control, Inc.
Andy Bongiorno is a 14-year veteran of the pest control industry and owner of Bongiorno Termite Control, Inc., a Diamond Certified company since 2012. He can be reached at (925) 364-5488 or by email. Outside of work, Andy likes to stay active, both on land and on water. “I have a couple of sailboats and enjoy sailing out on the delta. I also like mountain biking, snowboarding and motorcycle racing. Basically, I’ll try anything that looks fun.” When he’s not thrill-seeking, Andy enjoys going wine tasting with his wife, barbequing with friends and spending time with family, including his three grown sons and his grandchildren. A: Probably going off a big snowboard or mountain bike jump. A: Usually action, but I like anything that has a good story. A: England and Italy—that’s where my heritage is, and I’ve never been there. A: Memorabilia from sporting events and auto races I’ve attended. Keep your home exterior clear of debris, vegetation and excess soil. Firewood piled up against the house, unkempt trees and shrubs touching the home exterior, and wall planters with high soil levels can increase the potential for insect infestation or fungal infection. Remedy these conditions by storing firewood away from the home, keeping adjacent vegetation well-trimmed and monitoring the soil levels of wall planters. Maintain exterior house paint and caulking. If moisture is able to permeate your home’s wood siding or window frames, it can lead to fungal infections like dry rot. Prevent this by keeping your house paint in good repair and routinely caulking exterior gaps and cracks. Maintain your roof. A common source of moisture intrusion is leaky roofing materials. Often, such issues begin around the roof’s eaves—the outer edges that hang over the wall. Keep an eye on your roof and watch for signs of leaks, such as staining or swelling of eaves or ceilings. You should also regularly inspect your attic for roof leaks. BRENTWOOD — If you see termites swarming around your property, your first instinct may be to call a termite control company, but in reality, you should probably hold the phone. By learning about the swarming habits of termites, you can gain a better understanding of the situation and avoid an unnecessary service call. Different termite species swarm at various times of the year, so depending on when and where you see them, it’s likely a natural occurrence. For example, when the sun emerges following the first rainfall of autumn, it creates the perfect conditions for subterranean termites to swarm. So, if you see termites swarming outside your house during this time of year, it’s probably nothing to be concerned about. The termites don’t pose a threat to your home—they’re not even interested in feeding at this time. They’re simply looking for a place to create a new colony and start reproducing. However, if you see termites inside your home during this time, it’s a legitimate cause for concern, as they may be coming up from beneath your home or within the walls. In this case, a professional termite inspection is recommended. BRENTWOOD — Host, Sarah Rutan: To guard your home from termites and other wood-destroying organisms, you’ll need to address a few areas of maintenance. Today we’re in Brentwood with Diamond Certified Expert Contributor Andy Bongiorno of Bongiorno Termite Control to learn more. Diamond Certified Expert Contributor, Andy Bongiorno: Wood-destroying organisms, like fungus and rot and termites, exist in nature to eliminate dead wood from the environment and recycle it. The one thing we want to make sure they don’t do is make your house part of nature. So, to prevent nature from consuming your house, here’s a couple of tips that might help maintain your property. One thing I’d recommend to do is to keep the exterior of the house clear of any debris or vegetation or excess soil. We find issues that occur a lot when things get piled up on the ground up against a house. Any firewood that might be stored there, planter areas that have a high soil level in them can all contribute to infestation or fungus infection. Another way to prevent wood-destroying organisms is to keep the house well painted and caulked. Moisture intrusion is a big issue because wood begins rotting when the fungus that exists in our environment everywhere gets wet and begins to consume the wood as its food source, and that wood just turns into rot and decay. So, keeping the moisture out is the one thing that we can control, and the best way to do that on the exterior of a house is to keep it well-painted and caulked. Another thing that I’d recommend to do is to maintain your roof. We find a lot of issues with moisture intrusion through roofing materials like composition shingles or tiles, or whatever it may be. And a lot of the issues begin around the outer edges of the roof, the areas we call the eave, the part of the roof that overhangs the wall. So, keeping an eye on your roof and making sure that you don’t have any leaks anywhere, look for stains in your eaves and your ceilings, and even in your attic on occasion, can save a lot of repair costs in the future. 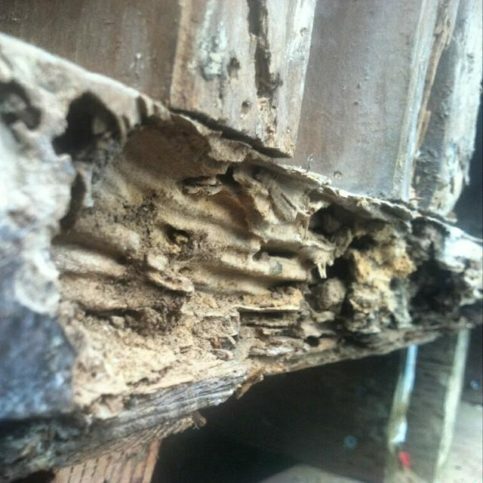 BRENTWOOD — Host, Sarah Rutan: If you see termites swarming outside your home, you may think you have a problem, but this isn’t necessarily the case. Today we’re in Brentwood with Diamond Certified Expert Contributor Andy Bongiorno of Bongiorno Termite Control to learn more. 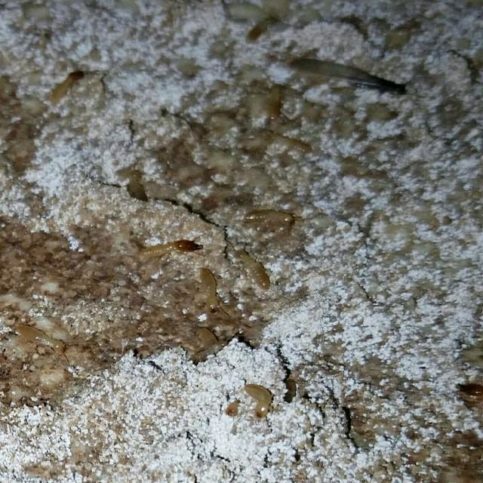 Diamond Certified Expert Contributor, Andy Bongiorno: We’ve been getting a lot of calls lately from some concerned people who have seen termites swarming around their property. This is the time of the year when we get our first rain and the sun comes out, and those are the perfect conditions for subterranean termite swarms. What I’ve been telling most people is that it’s not necessarily a major concern if you’re seeing the swarms around the outside your house. They are in the environment all over around here and they come up out of the ground or in any areas around the outside of the home. And they are not attacking your home as you may believe, but they’re just looking for a place to create a new colony and start reproducing. If you do see them inside your home, that may be an indication that there are termites coming up from underneath your home or inside the walls, and that could be something to be concerned about. We would recommend that you have your home inspected and that would help to determine whether or not you do have an infestation that should be treated. I don’t recommend that you just treat the home because of a swarm that you see around the outside of the house. You may be doing something that you don’t need to, and it would be best to inspect the house first. And that way you’d have the information you need to make an informed decision. Diamond Certified RATINGS ON Bongiorno Termite Control, Inc.
Bongiorno Termite Control, Inc. : Average 9.5 out of 10 based on 200 unique customer surveys of customer satisfaction. They are great, on time, and trustworthy. The guy knew his stuff. The level of customer service and what they know, they communicate well both written and verbally. They kept us informed of when they would be here. The pricing, there were no extras. They did the job, and there were no surprises. They did a good job. Timing, and they were respectful, no surprises. Professional, expedient, and the quality of work is a "10". They are friendly and flexible. I would tell them to use Bongiorno. Great, timely, and an honest company, I would use them over and over. They are high quality, and the prices are reasonable. They delivered what they said they would and on time, professional work team who were open to listening. I have been using them for years. He is a good friend. They communicate, they are on time, and he does what he says. They are always there, and there are no delays. They get the work done as soon as possible. I would say to call them. The way he did the job, he was in every corner and stairway. Very friendly and helpful, they did a great job. Great work, and he is very meticulous. He is honest, timely, a good person, and he is cute. All of that, and they are trustworthy. Andrew, Travis and Justina are great.